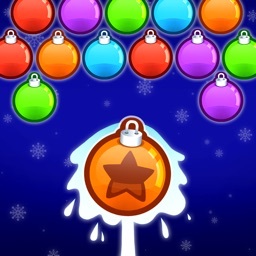 Think strategically, aim, shoot and get rid off all the bubbles in a stunning Christmas Environment. 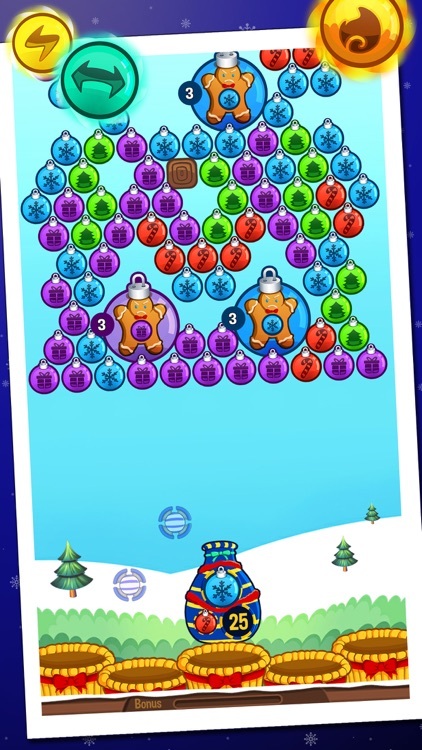 Explore hundreds of levels with varying levels of difficulties. 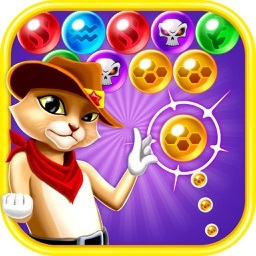 Be as precise as possible to free up locked objects, mine sweep bombs or beat game bosses. 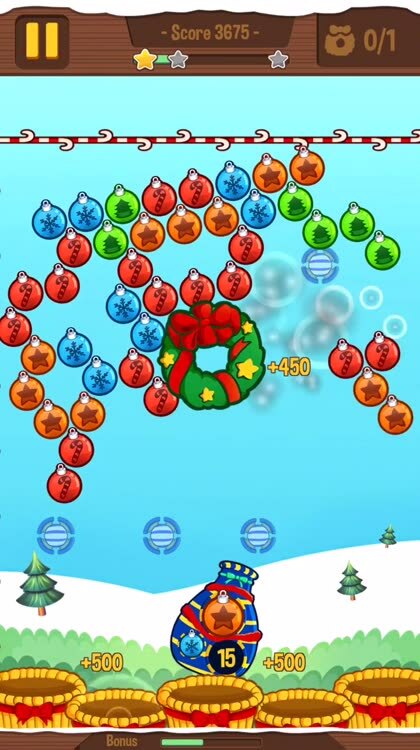 The more bubbles you destroy in one shot, the better your overall score will get. The higher your score, the easier it will get to unlock powerful bonuses along the way. 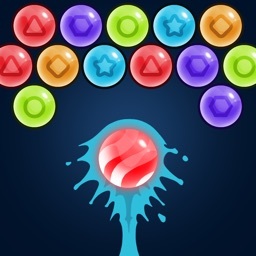 However, beware of the maluses. 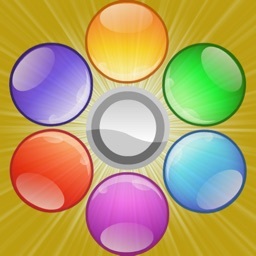 They will show down your overall progression. 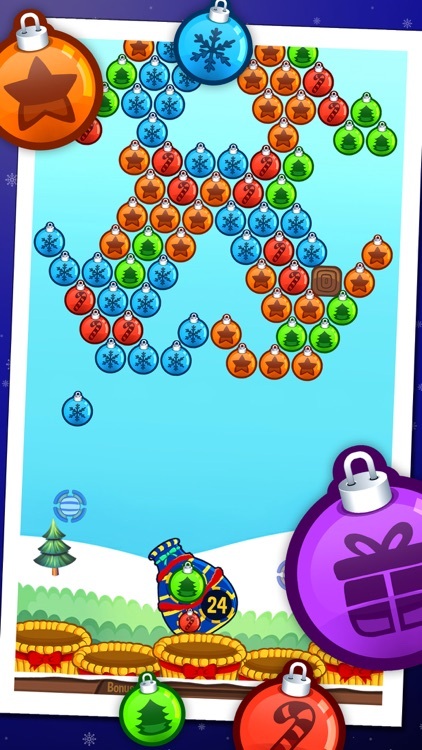 Are you ready for this challenge? 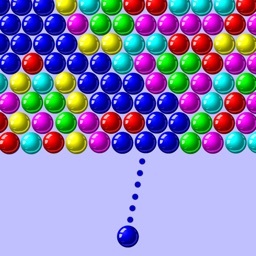 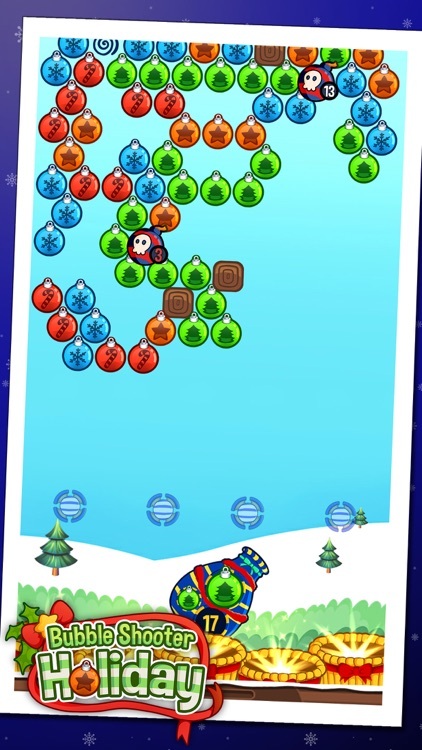 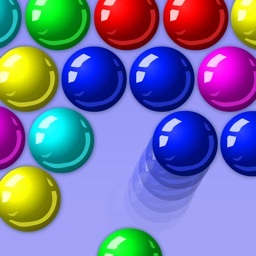 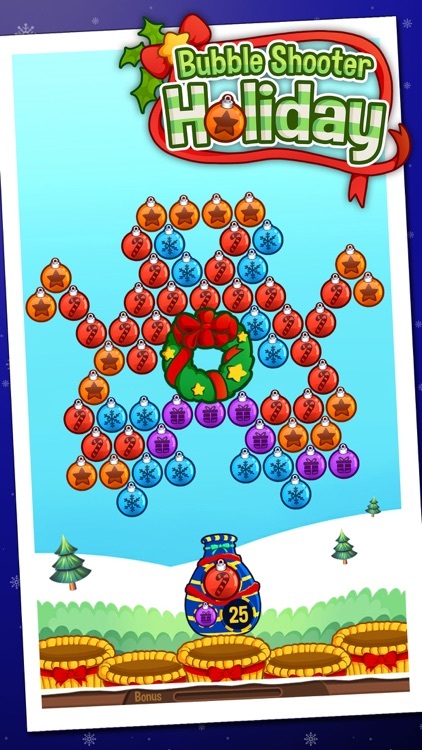 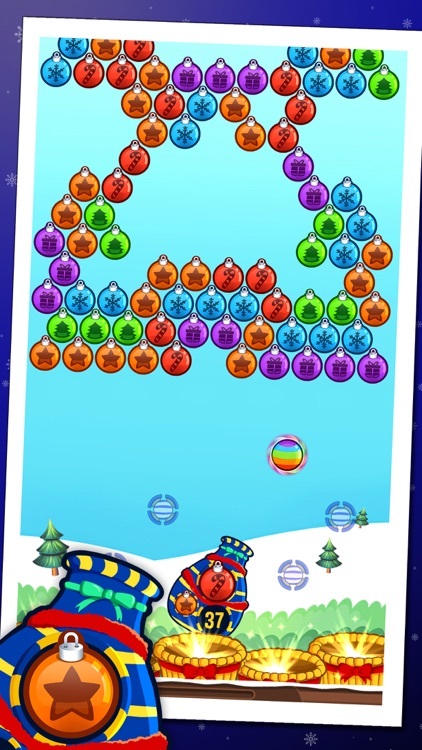 Download Bubble Shooter Holiday for free today !